Business Card MOCK-UP Design- Layer Based PSD design for any business, presented by Free PSD Design Team. Once again our designers came up with the design for the any Business. 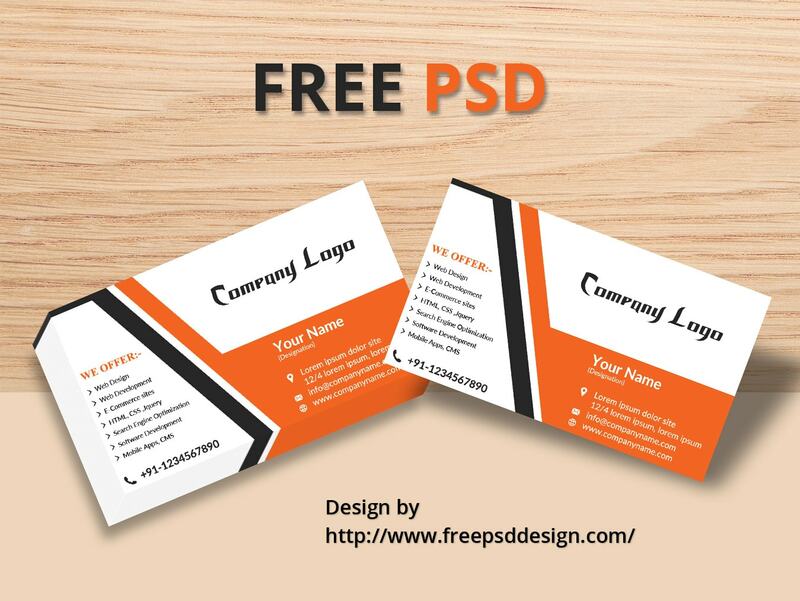 The Design concept of Free Business Card Mock-up Design is Fully Free, Free Layer Based PSD design in which you can easily change Images, Texts, Content, object and color theme. Show your services efficiently and effectively eye catching design color combination. Business Mock-up is created with soothing color combination, flexible objects, pleasant and resourceful highly imaginative concept design for Free Business. Enhanced with transportation Facility friendly design to showcase all your Details. Business design PSD that will showcase your any Business service and Details.